Posted by OeWF in Guest blogs, OeWF News. After finding out about the Space Event of the TU Vienna Space Team through the Austrian Space Forum (ÖWF) in spring 2016, it didn’t take me long to decide: I had to go! Shortly after, I joined the ÖWF and was given the task to write this report. On May 18th 2016, I excitedly arrived at the TU the Sky at the Technical University of Vienna. 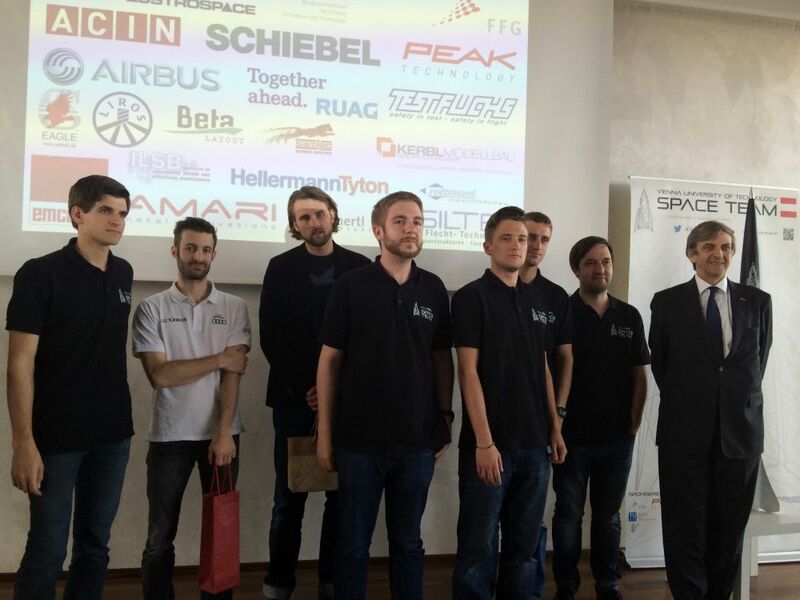 At 3 pm, the Space Event took off with the introduction to the Space Team by the president Christian Plasounig. After that, the project STR-06, the new rocket of the team, was presented by Andreas Bauernfeind. It had been successfully launched for the first time just about two weeks before, which the whole team was excited about – rightfully so. Following this, Bastian Schäfer from Airbus gave an inspiring talk about the “Bionic Partition Project” from Airbus in cooperation with Autodesk. This project has as a goal to plan and 3D-print a lighter and better cabin partition for an A-320, using special 3D printers and a newly developed material called Scalmalloy®. It has been built in a complicated process and in summer 2016, the partition will undergo a 16-g test. Next, Christian Plasounig was on stage again to present the European record attempt “The Hound” of the Space Team. They want to reach the height of 42 km with an amateur rocket and commercially available motors. Several challenges come with this goal, the biggest one being the delamination of the fins that occurs at the temperatures the rocket will be faced with. The Space Team solved this problem with special 3D-printed fins in cooperation with Airbus that can withstand the heat. The other big challenge is proving that the desired height has been reached; regular GPS systems in amateur rockets don’t work at such heights. However, the Space Team is working hard to find a solution. Launch of the rocket is planned for fall 2017 in the Black Rock Desert in Nevada (USA). In Europe, there are no areas big enough for such a high flight since there needs to be a certain area around the launch site that can be closed off. Good luck to the Space Team for this spectacular project! After this presentation, there was a short pause with a delicious buffet and drinks. It was also a great opportunity to get to know others and chat for a bit. The Space Event continued with the presentation of the CubeSat PEGASUS, a microsatellite the Space Team is developing in cooperation with the ÖWF, the FH Wiener Neustadt and the Institute for Astrophysics of the University of Vienna. Pegasus is part of the project QB-50. 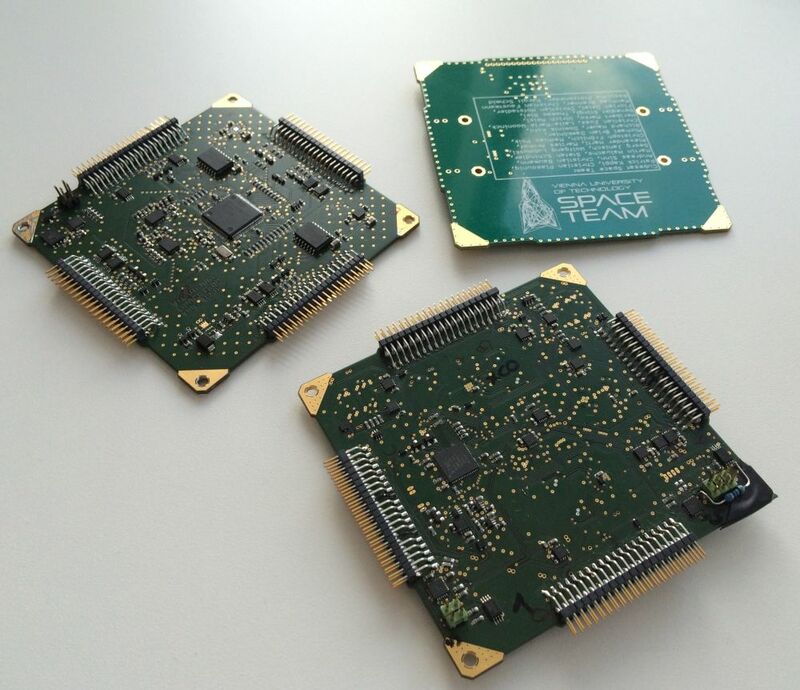 The Space Team is developing 60% of the hardware, most importantly the power supply unit (PSU, the “heart” of Pegasus), the On Board Computer (OBC, the “brain”), and several other features. The Austrian Space Forum is responsible for the communications system for Pegasus. The measurements of the microsatellite are 10 x 10 x 20 cm, it will be sent up into the thermosphere together with 49 others for three to nine months, with the launch planned for 2016/17. It will be the first satellite to be developed entirely in Austria. Next up was Prof. Otto Koudelka from the TU Graz, who talked about the BRITE-project (Bright-star Target Explorer), focusing especially on the Austrian satellite TUGSAT-1. It is a nanosatellite with the measurements of 20 x 20 x 20 cm and it is in orbit at a height of 800 km since February 23rd 2013. Its task is to measure brightness oscillations of massive luminous stars. An outstanding feature of this nanosatellite is the very precise regulation of attitude. 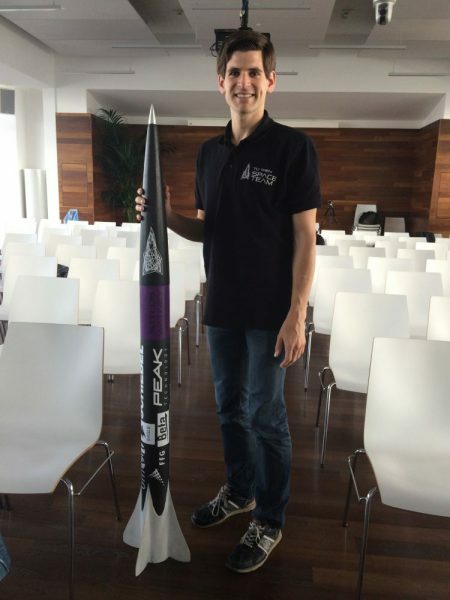 The next presentation, held by Alexander Sebo was about the propulsion project of the TU Vienna Space Team. 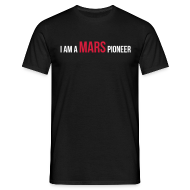 The goal of this project with the name Thor is to develop and build a rocket propulsion. The focus lies on the basic components: injector, combustion chamber and nozzle. Thor 3.0 will be built and tested in summer 2016. Thomas Schachner from the Part-Time Scientists (PTS) talked about their advancements in terms of the first privately funded moon landing in the framework of the Google Lunar XPrize. They are among the five favoured teams in the competition for the 30-million US-dollar prize. The prize will be awarded to the first team to make it to the moon, land and move the craft 500 m while providing the team with HD images. The landing on the moon is projected for the end of 2017 with the Audi lunar Quattro, at the landing site of Apollo 17: Taurus-Littrow Valley. The mission will be 14.5 days long; among the payload is the NASA Lunar Plant Growth Experiment. In 2014, the Part-Time Scientists were already very successful at the Milestone Prizes that also belong to the Google Lunar XPrize. For this event, they developed the lander ALINA in cooperation with the TU Vienna Space Team. Good luck to the Part-Time Scientists as well! Following this, Manuel Schleiffelder told us a little more about ALINA and the planned ESA moon village on the far side of the moon, a future research outpost. The Space Event attracted a lot of visitors, which is surely also due to the great organisational skills of the Space Team. My personal highlight was seeing Franz Viehböck, the only Austrian person to have ever been in Space, also called the “Austronaut”. Hopefully I can return in future years! Internships 2016: Meet the new Intern!